Karoo National Park, situated near Beaufort West, is turning 30 years this year. During the official celebration, held at the 30 Oct 2009, the management of the park unveiled a plan to introduce lions to the park in the first half of 2010. Before the carnivores will be re-introduced to the environment measures must put in place to ensure the safety of visitors walking around the Park’s rest camp. The decision had been made after careful consideration of the viability of introducing this top predator, taking into account the numbers of prey species most likely to be targeted by lions in the Park. It took a while untill Cape Town's brand new stadium got a name. The old stadium was called "Green Point Stadium", during the planning stage it was referred to by some as the "African Renaissance Stadium" and now it is officially named "Cape Town Stadium". The newly-built Cape Town Stadium is situated in Green Point, between Signal Hill and the Atlantic Ocean, close to the Cape Town city centre and to the well known tourist attraction Victoria & Alfred Waterfront. Cell phones in South Africa - frequency, SIMcards, phones etc. South Africa has an extensive GSM network, working on the same frequency (operating on GSM 900 & GSM 1800) as the rest of Africa and Europe. Cellphones working on GSM 850 or GSM 1900 (frequencies used in the US) are not working in South Africa (as well as in all neighboring countries). The South African networks support GPRS countrywide; 3G, EDGE and HSDPA support is available in larger urban areas. Prepaid SIMCards: A South African SIMCard will require a SIM-unlocked GSM cell phone that supports the 900 frequency. SIMcards are available in almost all shops & malls and cost you between R1 to R3. This in not includung preloaded airtime obviously. So called "recharge vouchers" are available in almost all shops (checkout counter) as well. If your phone is not working on the South African GSM frequency, you can easily buy a cheap one in the shops. See the websites of the four providers for current rates. You should get a phone for around R300. As of 01 July 2009 all SIMcards in South Africa require to be registered. Click here to read what to do. International calls: Calling overseas from your South African simcard will cost you a fortune. Rather make use of skype - it will safe you a lot! NB: The existing Nonokani 4 x 4 Adventure Trail which runs through the wilderness areas of Phalaborwa section up to the Olifants River will get permanently closed. "A number of visitor related problems in the past that affected the experience of tourists" is reason behind the closing, according to a SANPark official. The rate will get reduced to NAD 125 per person per night and the clients are no longer required to pay the site fee (previously NAD 300). The “Stay 4 nights and pay for 3 nights” special is still ongoing as well, so customers are very welcomed to extend their stays at Sesriem Campsite. Johannesburg, South Africa's economic capital, is the only city in the 2010 tournament hosting two stadiums - Soccer City and Ellis Park. Ellis Park, located in the centre of Johannesburg, was first built in 1928 as a rugby union stadium. It was demolished and rebuilt in 1982, again exclusively for rugby. The stadium is named after JD Ellis, who was a city councilor in Johannesburg and made the area for the stadium available. Today, the stadium hosts both football and rugby, and is also used as a venue for other large events, such as open-air concerts. It hosted the Rugby World Cup final in 1995 (also watch the trailer of "Invictus", the new Clint Eastwood movie about the 1995 World Cup), which was won by the South Africa's national team, the Springboks. Ellis Park is actually also known as "Coca Cola Park" (which is the official name, I believe), but in the 2010 World Cup™ context the stadium is always named "Ellis Park". With "Invictus" coming to cinemas end of 2009, the discussion whether the All Blacks got food poisend or not is back in the media. Well, maybe this video made by sportasylum.com might answer some questions. Invictus tells the inspiring true story of how Nelson Mandela (Morgan Freeman) joined forces with the captain of South Africas rugby team, Francois Pienaar (Matt Damon), to help unite their country. Newly elected President Mandela knows his nation remains racially and economically divided in the wake of apartheid. Believing he can bring his people together through the universal language of sport, Mandela rallies South Africas underdog rugby team as they make an unlikely run to the 1995 World Cup Championship match. Hungry for a bit to eat? What if alligator cheesecake, maggot cheese and deep-fried tarantulas were on the menu? 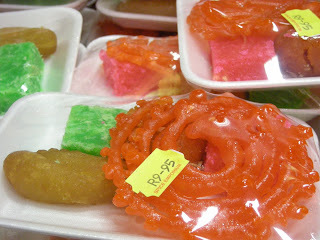 You may not salivate over these offerings, but travel long enough and you’re bound to meet someone who does. These foods, along with many others, feature in Lonely Planet’s new title, Extreme Cuisine, a guide to some of the more unusual foods from around the world. Meals can be the perfect entrée to a culture and in this pocket-sized, full color book, you can look at the wonders of over 50 delicacies, from the origin of each exotic dish to how they are made, what they taste like and where you can try them. Extreme Cuisine author Eddie Lin is a food writer who has traveled the globe to satisfy his appetite for unusual food who has appeared in The New York Times, The Guardian and on The Travel Channel. “The only difference between ‘tasty’ food and ‘nasty’ food is one letter”, he says. “And similarly, it is a small twist that causes a food to be perceived as good or bad, and that twist is often in who is doing the eating. Food is very cultural, very personal experience. Indeed it’s as much about the mind as it is about the mouth”. Each of the 65 foods in the book is featured in a double page spread. They come from every corner of the globe and range from Canada’s duck web to Mexico’s prickly pear cactus; from the Ukraine’s pure pork fat to China’s 1000-year-old-egg. The United States is prominently featured as well, highlighting “Bacon Explosion”, Turducken, Lime Green Jell-O Salad among other national and regional dishes. Where? Lion's Head, Signal Hill, Sir Lowries Pass, Hermanus, Franschhoek Pass, Dassklip Pass (Porterville), Noordhoek and the Garden Route from Wilderness to Port Elizabeth. What? Since the late eighties, paragliding in South Africa has seen a tremendous growth. Presently the industry boasts more than 900 registered pilots and a staggering 1200 flying sites around South Africa. The sport is normally considered to be "Extreme" and has a degree of danger appended to it. Most people have a small degree of vertigo and could never imagine themselves dangling alone thousands of feet in the air under a "parachute". Many paraglider pilots are even slightly scared of heights! Tandem Paragliding is the solution - with an over-sized, specially designed tandem glider and two harnesses, the sport now invites all who wish to explore the skies and soar the mountain tops, but don't want to learn to paraglide on their own. With Tandem Paragliding, as a passenger you require no previous knowledge of the sport at all. The pilot will brief you on take off and landing shortly before the flight. The only important thing to remember is to listen to the instructions of the pilot and to have total confidence in his experience. Take offs are easy and Landings are soft and most often we land on large fields with no obstacles or dangers. Weather? Paragliding is weather reliant, but we can fly almost 200 days a year, throughout summer and winter. We do not specifically need any wind to get airborne but most suitable conditions range from 10kms per hour to a max of 30kms per hour to launch safely. The direction of the wind is also a deciding factor, the wind should be blowing directly up the slope or launching site, with a tolerance of 15 degrees off center being acceptable. Days where the weather is beautiful and clear with no clouds and good temperatures are not necessarily the most suitable conditions for paragliding, but mostly they are. Most stadiums are now almost ready – Soccer City is at 90% , Durban at 95%, Polokwane at 95% & Greenpoint at 85%. All other stadiums are ready. Vuvuzelas got some international attention during this year's FIFA Confederations Cup in South Africa. The distinctive sound reminds a bit of elephants blowing their trunk or could also be described as a "buzzing of a giant swarm of baritone bees". Check the video below and find your own words. It is at least a very distinctive sound. FIFA originally planed to ban the Vuvuzela during the 2010 World Cup™. Why? Well, first of all they were concerned that businesses could place advertisements on vuvuzelas and there were also concerns that the plastic trumpet could be used as a weapon by football fans. By that time no one was talking about the sound as a reason for banning the vuvuzelas. As the vuvuzelas are pretty essential for South African football fans and therefore are part of the unique South African football experience package, FIFA decided not to ban the instrument already back in 2008. Vuvuzelas were originally made from kudu horn. Back in the old days it was used to call villagers to a meeting. The horn only found its way into football stadiums in the late 70s, early 80s. It is acutally not clear where the name "vuvuzela" actually comes from. Some say it comes from the Zulu word for "making noise", others say it comes from a township slang word for "shower" (because the sound is "showering" people with music). Game viewing, Great Rift Valley, Lake Naivasha, Lake Nakuru, Serengeti NP, Ngorongoro Crater, Zanzibar. 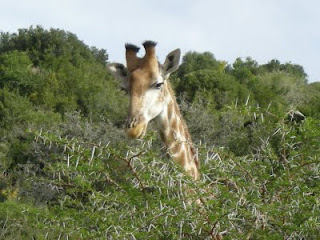 An ideal safari adventure for those travellers interested in diverse wildlife, fascinating cultures and stunning scenery. From the lakes of Kenya to the plains of the Seregenti and charming Zanzibar, this is an all-encompassing East African safari. A true safari experience! Tour the best known game parks in Tanzania in search of the "Big 5" - lion, leopard, rhino, elephant and buffalo. Travel through East Africa's Great Rift Valley, see phenomenal wildlife in its natural habitat, sleep under the stars while at the game parks and enjoy this truly unforgettable adventure. Johannesburg, South Africa's economic capital, is the only city in the 2010 tournament hosting two stadiums - Soccer City and Ellis Park. Soccer City is located in Johannesburg's southwest and is only a short distance from one of the country's football-crazy townships, Soweto. The original stadium, which was known as the FNB Stadium, is widely regarded as the "heart of football" in South Africa. It was the country's first international stadium, the stadium was hosting the first mass rally of Nelson Mandela after his release from prison in 1990 and the 1996 CAF African Cup of Nations final, in which South Africa eventually won 2-0 over Tunisia, was played in this venue. In 2010 both the opening match and the final are going to be played in "Soccer City", Africa's largest stadium ever built. Bamako, Timbuktu, Sahara Desert, Djenne, Dogon Country, Mopti, Segou, Sikasso, three days at the "Festival of the desert"
An exciting 14-day adventure in Mali! Enjoy the dancing, music, camel races and revelry at the Festival of the Desert, as well as the scenery, architecture and landscape of this fascinating country. Bamako city tour, Dogon village visit, Mopti city tour, Sekoro village visit, Tomb of King Diton Coulibaly, Sikasso city tour, Mamelon & Tata visit, Grotto of Misiri Koro. *Price does not include festival permit, this is to be paid locally at Festival entrance, approx 200EUR. This tour encompasses the major highlights of East Africa in just 21 days. You will be able to spot an abundance of wildlife whilst visiting the Masai Mara, Serengeti National Park and Ngorongoro Crater. Learn about the Masai, their culture and way of life. Finally discover the exotic allure of Zanzibar, the ‘spice’ island. A time to discover, explore and relax, the ultimate adventure! Mozambique Islands and Wildlife - booking! Mozambique, still a remote & unspoilt country with such friendly people is, without a doubt, the undiscovered gem of Africa. Take a day dhow safari sailing through the Bazaruto Islands, exploring beaches and pristine coral reefs. Enjoy the fantastic seafood, lose yourself in colonial architecture and chill out on the fabulous coastline. Added to this is the beauty and adrenaline rush of Victoria Falls and the wildlife of the Kruger, making it a memorable fortnight. 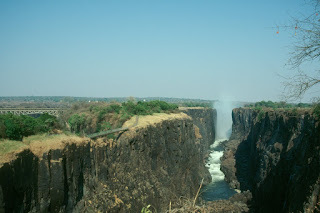 Okavango and Falls - booking! Begin your journey in Victoria Falls. The sight and sound of 550,000 cubic metres of water cascading down every minute is truly incredible; combine this with adventure sports activities before beginning your overland adventure holiday in Botswana, this is a unique holiday destination. We will visit Chobe National Park for an evening river cruise and game drive before moving onto Maun - gateway to the Okavango Delta. Explore the waterways of this wilderness area by walking safari and traditional mokoro (canoe), spotting hippos and maybe even a sitatunga (antelope). Finally travel through the Kalahari Desert region to reach the hustle and bustle of Johannesburg, gateway to the rest of Southern Africa. According to Acacia Africa Soft Voluntourism Is Winning Out With Today's Adventurers - Launch Of New "9-day Cheetah & Kruger Combination Voluntour"
Voluntourism is still one of the major buzzwords when it comes to holidays, but according to Acacia Africa, a softer version where charitable pursuits are juxtaposed with adventure is winning out with today’s travellers. The tour operator’s new 9-day Cheetah & Kruger Combination Voluntour, which will be featured in the forthcoming brochure, is the perfect example. Heath Ashcroft, Marketing Director of Acacia Africa, comments: “A growing number of travellers are looking to give something back to the host country they are visiting, hence our decision to launch a dedicated voluntour section late last year. However, adventurers still want to experience the destination as a whole, whether that’s enjoying the traditional African safari, participating in village visits or travelling off the beaten track on a overland journey. Departures Monday, Wednesday & Saturday year round. Contact Acacia Africa on 020 7706 4700, email info@acacia-africa.com or visit www.acacia-africa.com for further information. ATOL No. 6499 and ABTA No. W4093 PROTECTED. Based in Plettenberg Bay, between Knysna and Tsitsikamma, Starling Village Backpackers has some of the most scenic spots on the Garden Route, this funky backpackers offers you the chance to slow down, soak up some experience and leave a imprint on your life. Our facilities offer all the necessary comforts and we are close to all the lekker local hot spots. So when your not out exploring you can choose between some relaxation, adventure or fun. Africa's first - and therefore largest - transfrontier marine conservation area has been established. It is connecting South Africa's World Heritage Site, the iSimangaliso Wetland Park, in Maputaland (Northern KwaZulu Natal) with Mozambique's first marine conservancy, the Ponto de Ouro Marine Protected Area. Nelspruit is Mpumalanga's capital and the gateway to South Africa's most famous Kruger National Park. The city got recently renamed to "Mbombela" (meaning "many people together in a small place" in SiSwati), but will retain "Nelspruit" during the 2010 World Cup held in South Africa. The newly build stadium (construction work still in progress) is located on open land 6km west of Nelspruit (see map) with the stadium as the centrepiece of a sports precinct with athletics and cricket as well as other sports activities. Price: From R400 - R500 [currency converter] per person per night. Price based on 2-4 people sharing. Price includes accommodation and food. Soweto homestays are designed to help you to become part of the family and experience life as it is lived in that family. As such, there is no set itinerary for such visits. There are, however, some more common activities that you will most probably participate in. These include the early morning tasks of boiling water for washing yourself, cooking breakfast (usually soft porridge) and eating breakfast with some of the family members. During the day you will spend time playing with the children, walking in the township and perhaps volunteering in a community project or school, learning language, resting and helping to prepare the evening meal. Sometimes after supper you may visit a shebeen (traditional pub) or music venue, play games with the family or have discussions about culture or the politics of South Africa. This holiday is operated by a company based in Soweto and they will be able to provide expert local knowledge. They will be able to tailor make your homestay to suit your requirements not only concerning the dates of travel but also typically the standard of accommodation. Namibia's national airline "Air Namibia" just announced that they will introduce flights to Lusaka, Zambia, at the 25 Oct. 2009 as part of the airline’s aggressive regional route expansion. Five weekly flights between Windhoek and Lusaka, via Johannesburg, are currently scheduled (Mondays, Wednesdays, Fridays, Saturdays and Sundays). In addition to traffic between Namibia and Zambia, the airline will also offer flights for traffic between Johannesburg and Lusaka (codeshare with Zambezi Airlines). The 2010 World Cup™ hosting city of Nelspruit in South Africa is now officially renamed to "Mbombela". Mbombela is a Swati word meaning "many people together in a small place". Keep that name change (and all the others of course) in mind when planning your travels and don't get confused - still the same places, but a new names.... Public and private sector do have a three year "transition period" to change all signs, boards etc., so when you are coming to South Africa you will still find "Nelspruit" being used. It is sometimes a bit confusing, but you'll get used it when travelling around. Arts and Culture Minister Lulu Xingwana on Friday (16 Oct 2009) published in the government gazette a list of in total 42 geographical name changes which she had approved between 28 July and 2 September this year. Some more name changes in Mpumalanga are Belfast to eMakhazeni, Waterval Boven to Emgwenya, Machadodorp to eNtokozweni. 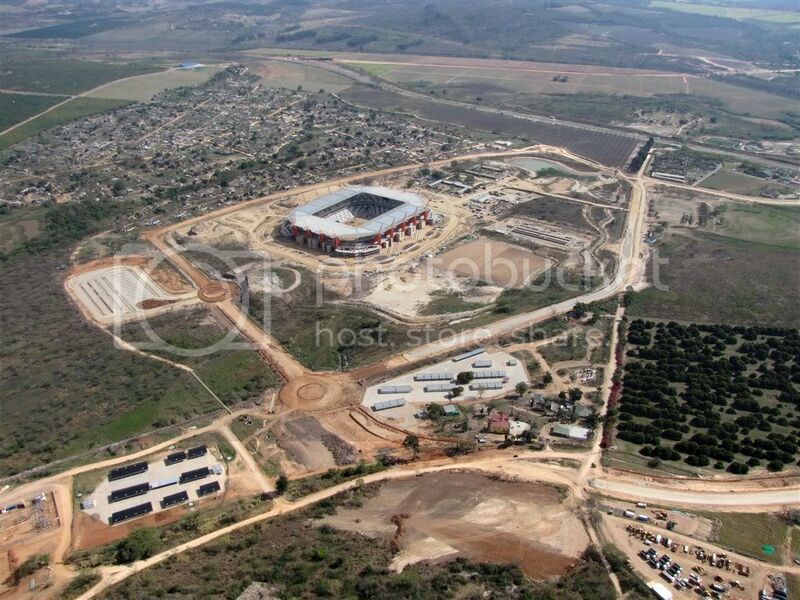 UPDATE (21 Oct 2009): Nelspruit will retain its old name (Nelspruit) for the 2010 World Cup. The name of the municipality as well as the stadium is Mbombela, but speaking football the city will be referred to as Nelspruit! UPDATE (28 Oct 2009): More than 600 businesses in Mpumalanga, represented by the Lowveld Chamber of Business and Tourism (LCBT), are seeking legal advice on how to challenge the renaming of Nelspruit to Mbombela. price: From £1995 (55 days) [currency converter] excluding flights. Price includes highlights, ground transport except Zanzibar, road tolls, vehicle taxes, camping & cooking equipment and services. offers: Save 15% on our 6th December departure. Tour price now £1695 plus local payment of US$1290. Enjoy Christmas day on the shores of Lake Malawi and bring in the new year on the banks of the Zambezi River in Zambia in sight of the Victoria Falls. Travel from Kenya to the Southern tip of Africa via Victoria Falls in Zambia with a maximum of 16 person in our custom build full size expedition truck. With over a meter of legroom in your seat sit back, relax and experience the wonders of the continent. Explore five of Africa's great National Parks and last great wilderness areas, soak up the sun on the beaches of Zanzibar and Lake Malawi and stand on the edge of the Victoria Falls. We are unique in providing the services of an expert photographer and digital download facility on all our overland tours! One of our crew (normally the Tour Leader) is a full-qualified, semi-professional, photographer who will be available to give advice on photographic (and video) techniques; and will organise "workshops/tutorials" on photographic subjects and techniques (eg landscape, wildlife and bird photography, night shots, close-ups and portraits) to assist our guests to improve their photographic experience and technique. We also provide a laptop computer with multi-card reader for those clients with digital cameras to enable you to download your memory cards and burn those special memories to CD or DVD while on tour. Highlights of this trip include visiting Lake Nukuru National Park for a game drive. You will also experience game drives at Serengeti National Park, Ngorongoro Crater, South Luangwa National Park, Chobe National Park and Etosha National Park. Other parks you will visit are Cape Cross Seal Colony, Victoria Falls National Park, Fish River Canyon and Namib Desert. You will go on a tea plantation tour as part of a local community project and visit a cheetah conservation project in Namibia. Experience local communities with visits to a Masai tribal village and Himba Tribe and relax on Malawi beaches. Enjoy a Zambezi sunset cruise and 3 night/4 day mokoro trip to Okavango Delta. View Twyfelfontein rock engravings and Brandberg Mountains. Join in with the activities in a 3 hour guided desert walk in Sossusvlei dunes and have a go at canoeing in the Orange River. 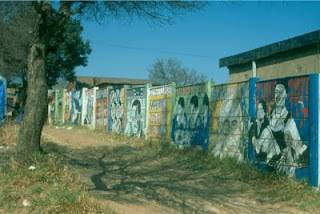 Polokwane, previously known as Pietersburg, is the capital of the most northern province of South Africa - Limpopo. The stadium was named after Peter Mokaba, a former leader of the ANC Youth League. It is located 5 kilometers from the city centre and is located east of the existing Pietersburg Stadium. The Royal Bafokeng Sports Palace, Rustenburg's 2010 World Cup™ venue is a rugby union, football (soccer) and athletics stadium, which got substantially upgraded and enlarged for the 2010 World Cup™. Rustenburg lies northwest of Johannesburg (roughly 150km) and Pretoria (about 100km). An ideal adventure for those looking to explore South Africa's stunning Garden Route with a bit of comfort. Sample some of the world's best wines, search for wildlife and awe at the breathtaking scenery in Bonte Bok and Tsitsikama National Parks, and explore the cosmopolitan Cape Town on this incredible trip. Game Viewing, Lake Nakuru, Masai Mara, Lake Victoria, Serengeti, Ngorongoro Conservation Area, Olduvai Gorge. The best parks and game viewing in East Africa in only 10 days in search of the "Big 5" - lion, leopard, rhino, elephant and buffalo. As your ultimate East Arica safari, from the Great Rift Valley, the millions of flamingo on the soda lake of Nakuru, the vast open plains and rolling hills of the Masai Mara and Serengeti, the Ngorongoro Crater, to the shores of Lake Victoria, this trip is a once-in-a-lifetime experience like no other. Durban is the third most populous city in South Africa (roughly 3.5 million), forming part of the eThekwini (Zulu word for Durban) metropolitan municipality. It is the largest city in KwaZulu-Natal and is famous as the busiest port in Africa. Stretching along beautifull beaches, Durban has eversince been known as one of South Africa's great escapes - in terms of holidays of course. While the best football teams in the world are facing each other in the 2010 World Cup™ in South Africa, the "Football for Hope Festival" is taking place in Johannesburg's Alexandra township. 32 international teams, representing local organisations that use football for positive social change in the areas of anti-discrimination and social integration, children's rights and education, health promotion, peacebuilding etc., will compete in a fast-paced tournament to be crowned Football for Hope world champions on 10 July 2010. To highlight the social dimension of football all matches will be played in mixed teams (boys & girls aged 15 - 18) and without any referees. Any disagreement between the teams on the pitch will be ressolved through direct dialogue. All teams taking part in the festival were not only chosen because of their football skills, but because of their contribution to social change in their field of work in their home countries. In the tournament 13 African teams from all over the continent are meeting 8 teams from North & South America, 6 European teams, 2 Asian teams, 2 teams for Oceania and 1 team from the Middle East. Pls see www.streetfootballworld.org for more info about the tournament, the festival, workshops & activities and the intercultural celebrations taking place during the 04 - 10 July 2010! Germany's base during the 2010 World Cup is the Vermore Hotel in South Africa's Gauteng province. The complex will only be finished next month, but the German Football Association DFB have already booked an entire wing for the tournament. Vermore Hotel, which has 90 rooms, is in Centurion, a town with a population of 280,000 located between Pretoria and Johannesburg, not far from five of the nine World Cup venues - Johannesburg, Pretoria, Rustenburg, Nelspruit & Polokwane. 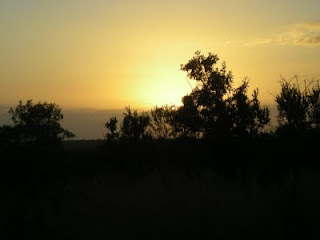 Dinokeng Big 5 Game Reserve, located about 50km north of Pretoria and approx. 18500ha in size, is set to be the first game reserve in South Africa's Gauteng province to support free roaming Big Five species. But, according to a news article which appeared on SATSA.com (South African Tourism Services Authoriry) today, the reserve is under thread from the mining company One Vision. The company notified landowners on the property of its interest in mining rights on the reserve. The stakeholders in the project, as well as Blue IQ (an initiative to develop economic infrastructure of the Gauteng Provincial Government) answered by sending letters of objection to either the Department of Minerals and Energy and to One Vision. The DME, again according to SATSA.com, notified Dinokeng Operations Manager Jenny Stevens that the letters were received by them. It is now up to One Vision to arrange a public meeting to consult with stakeholders. 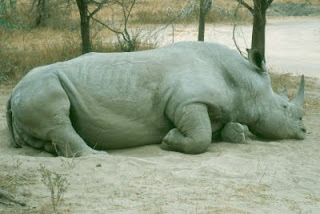 The Uganda Wildlife Authority (UWA) just announced that they will be lifting a ban on big game hunting (elephants, buffalos etc.) to boost tourism revenue in Uganda. From now on private companies can get the authorisation to sell sport hunting licenses in some areas of Uganda that are currently not designated as wildlife reserves. departures: Available throughout the year. Standard departures on the first and third Wednesday of every month. 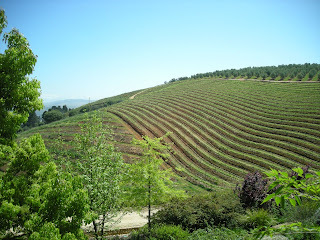 This trip can also be tailormade usually at no extra cost. 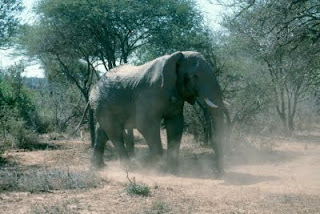 offers: Discounted 14 day African Wildlife Safari. ZAR 23,200. Start dates for this special offer 2nd or 16th of November 2009! Experience the difference with a wildlife conservation safari. We are seasoned professionals, bringing you a balanced African safari. 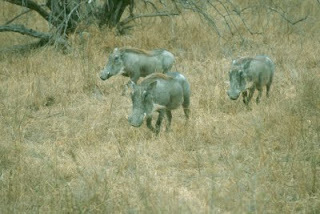 Enjoy an authentic game viewing and birding experience beyond that which is available elsewhere. Become involved in conservation projects at the exclusive Paperbark Bush Retreat (home of the Ingwe Leopard Project). The bush retreat lies in a non malaria zone at the heart of a lush hidden valley with waterfalls, mountain streams and an abundance of birdlife and indigenous game. Accommodation comprises a main lodge and spacious bungalows designed with a mixture of African and colonial styles, dominated by an ancient Paperbark tree. For over 25 years the our staff have been associated with wildlife conservation projects. We founded the Ingwe Leopard Project and are regularly engaged in large predator research. Our guests are afforded the opportunity of becoming involved in monitoring leopard and other wildlife behaviour via GPS tracking and camera trapping (motion activated digital cameras placed along game trails). These activities give a wonderful insight into the world of real life conservation. We've designed this 14 day safari package to enable our guests to become involved, and experience African wildlife rather than just view animals. We balance game viewing with time for some R&R, to create a unique and authentic African experience. The schedule can be tailored to suit your requirements (normally at no extra charge) and extra days can be added on a pro-rata basis. The German Namibian newspaper "Allgemeine Zeitung" is today reporting about massive fires in the Etosha National Park. The newspaper is quoting a tour guide saying that the ongoing fires are the biggest she has ever seen in Etosha. The "Allgemeine Zeitung" is actually the only source reporting about the fire, no other Namibian or Southern African newspaper is saying anything about it. You can check the fire situation on FIRMS (Fire Information for Resource Management System). Click on the map below for more information! This project gives you the chance to visit a unique location and get involved with real spearhead conservation work. This project is not about being an observer of conservation from the comfort of a game drive vehicle. Volunteers will spend days out in the desert on patrol, camping wild and living close to the earth, elephants and people. This project’s emphasis is on the building of protective structures around communal water points, creation of additional water points for elephants, assisting with, and teaching the farmers how they can financially benefit from tourism in the area, researching elephant movements, distribution and compiling identikits on herds and individuals. 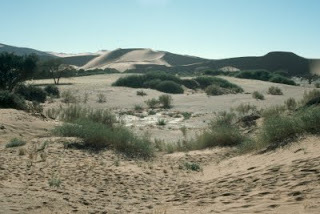 All work takes place in the vicinity of the rustic base camp in the Ugab River, at the foot of the majestic Brandberg. 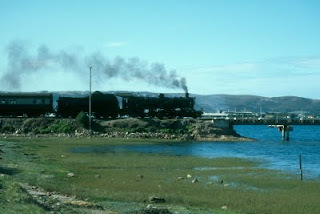 With effect from 16 October 2009 the steam-hauled Outeniqua Choo-Tjoe tourist train is to return to service between George and Mossel Bay. 16 October to 11 December 2009 and 11 January to 31 March 2010 - Mondays, Wednesday and Fridays only. 14 December to 9 January 2010, daily excluding Sundays and 25 December. Advance reservations are essential, at least 24 hours prior to departure. The right is reserved to substitute steam locomotives with diesel. Latest reporting time is 30 minutes prior to departure. The provision of service is subject to sufficient support. For their own safety, passengers are asked to read the conditions of travel displayed in the coaches and on the notice board at the George ticket office.